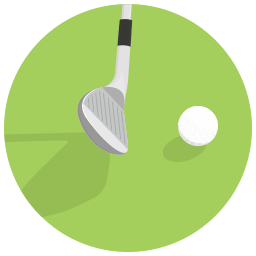 You will use your Irons the most, covering everything from short, mid and long-range shots, excepting when you are less than 200 yards away from the green. Thus, you will need more than one Iron, and generally, Irons come in sets that include six to eight individual irons. The typical iron set consists of, but not limited to the 3-,4-,5-,6-,7-,8-, and 9-irons. A Gap/Approach Wedge (AW), and/or a Pitching Wedge (PW), is also included in the set. Thus, when shopping for an iron set, you will see them listed as something like 3-PW, 5-PW.AW, or 4-PW. 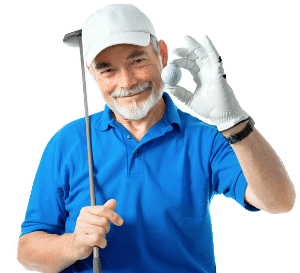 PW or AW indicates whether a Pitching Wedge (PW), Approach Wedge (AW) or both is included, and the number upfront indicates the smaller iron included in the set, and will always include every number until the 9-irons. For example, a 3-PW would include all irons from 3- to 9- and will include a Pitching Wedge. The higher number represents a higher loft angle, and the higher the loft angle, the ball will fly in a shorter distance, but higher launch trajectory. Modern iron sets nowadays also come with steel or graphite shafts, and as with drivers, the flexibility of your shafts will greatly affect your performance. Technological developments surrounding the iron sets are focused on getting the clubhead to travel quicker at impact without requiring more swing speed. Thus, modern iron sets have reduced shaft weights while the clubhead weights are increased. Some manufacturers have also developed hollow body irons to further reduce the weights of the shaft, while the heads are made in a couple of pieces. Forgiveness is also a major issue for an iron set, and thus many new technologies are developed to adjust the center of gravity of the iron to improve stability. Cavity Back: Also often known as the Max Game-Improvement Irons, and is characterized by a large hollow cavity in the back of the clubhead. The sole and toplines are significantly larger, to allow easier and more forgiving hits. Designated for beginner and those with higher (25+) handicaps. 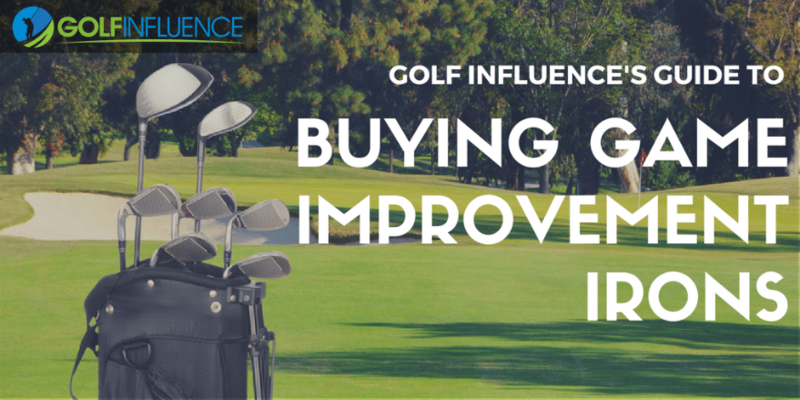 Game Improvement Irons: The most popular type of the bunch can fit a wide range of players from 5 to 25 handicap. The cavity is smaller, and the sole and toplines are more compact and thinner. 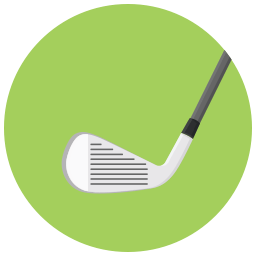 Blades: Also called Player's Irons, Cavity Muscle Back (CMB) or simply Muscle Back (MB), blades are designated, and used, by professionals and single-digit handicap players (below 5). Blades have a flat back with no cavity, making them less forgiving, yet producing better feeling and control when hit properly. Many beginners replaced the long irons, such as the 3- and 4- with hybrids, which are easier to hit with better forgiveness on off-center hits. Using fairway woods such as 7- and 9- woods will also produce similar effects. You might consider modifying your iron set with woods or hybrids for easier playability. Here are the general guidelines in choosing the right shafts for your iron set. Use the 6-iron as your baseline. If your 6-iron swing speed is 90mph or higher and carry distance 175 yards or more, go with X flex. If your speed is 80-90mph and carry 155 to 175 yards, go with S flex. For 70-80mph and 130 to 155 yards, go with R flex. For 60-70mph and 100 to 130 yards, go with A flex. And for speeds under 60mph and carries less than 100 yards, go with L flex. We have a lot of golf iron reviews in the pipeline - we'll be updating this as soon as they are ready to be published. Stay tuned!